The Chicago area is experiencing consistently nice weather and with the Fourth of July just a few weeks away, we are officially in grilling season. There are few things better in the summer than having a cookout with your friends and family, whether you’re celebrating a holiday or just gathering for fun. The smell of grilled burgers and hot dogs is one of the things we love most about the summer. However, without proper fire safety when grilling, you can end up cooking more than just your hot dogs. It is very important to practice good fire safety each time you light up your grill. Both gas and charcoal grills have the potential to cause fires and injuries if they are not used properly. 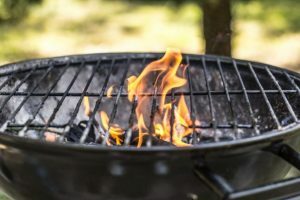 With just a few simple grilling safety tips, you can prevent dangerous mishaps and ensure that your summer barbecue goes off without a hitch. Make sure your grill is away from your home, garage, shed, trees, and other structures or overhanging objects that could catch fire. Do not use your grill inside your home or garage, or under a cover like a tent or awning. This will increase the risk of a fire as well as possible health effects from breathing the smoke. Light your grill properly and make sure that any sources of ignition are out of reach of children. Do not leave your grill unattended after you have started it. You must put it out completely and let it cool before storing it when finished. Clean your grill to remove flammable buildup before and after each use. Do not use a huge pile of charcoal, just enough to cover the bottom. A high pile of charcoal may cause airborne ash and sparks that can ignite flammable materials. Keep your supply of charcoal somewhere safe and secure, away from other fire hazards. Use starter fluid meant for charcoal grills and only apply it on charcoal before it is lit. Once the grill is lit, do not add any more lighter fluid because it can cause the flame to become out of control. Do not empty your ashes until they have cooled down. They must be dumped in soil or stored in a metal container because they are still a fire hazard even after the are cooled. Open your grill before lighting it to let the air escape. This will help prevent fires and even possible explosions. Inspect the gas line including hoses and fittings for leaks. One way to test for leaks is to rub soapy water in the gas line. The soap will bubble in areas where there is a leak. Any parts that are causing gas to leak must be replaced as soon as possible. Keep spare gas tanks outside and standing upright. Turn off your grill before closing the gas line. This will allow excess gas to escape. As you prepare for your Fourth of July barbecue, make sure you factor these fire prevention tips into your preparation. Following proper grill safety will help prevent fires and other accidents and protect you and your guests from harm. 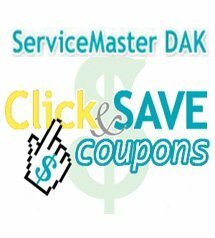 If you still experience fire damage on your property despite your best efforts to prevent it, make sure you contact ServiceMaster DAK right away for fire damage restoration. Our professionals can effectively clean up the damage caused by fires using our advanced equipment and restoration methods.